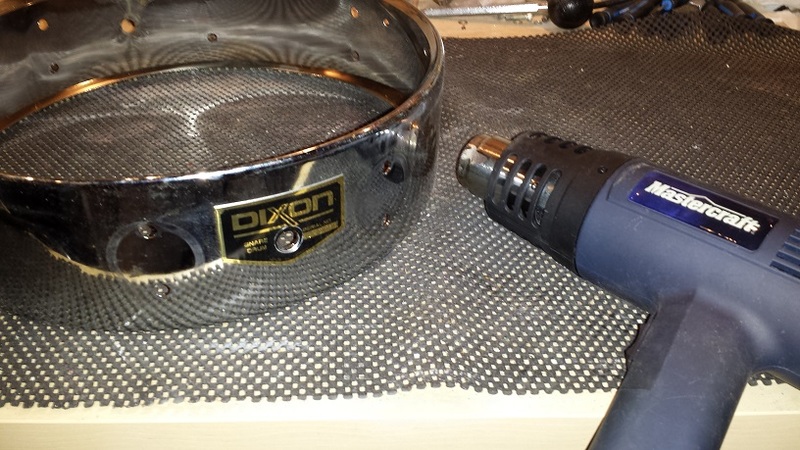 Could you Wrap a Steel Snare Drum? Would You? Should You? 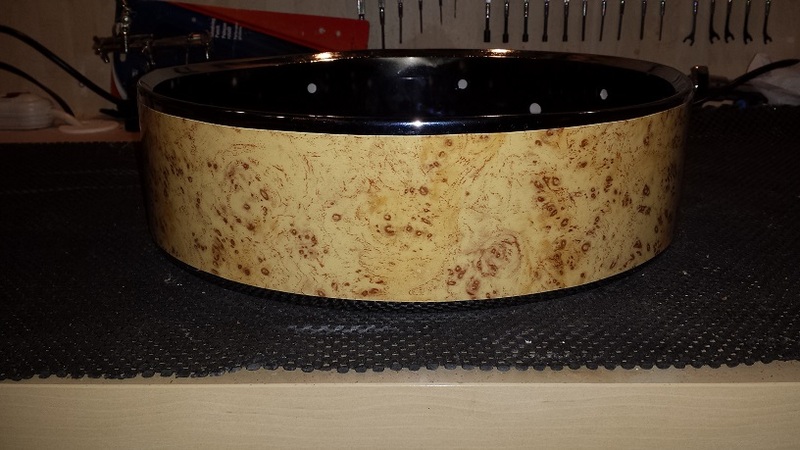 Could You Wrap a Steel Snare Drum? Would I? Well obviously I would, or this article would not even be in existence. Should I? Probably not, but that’s sometimes a perfectly good reason to go ahead and do it anyway. Could I? 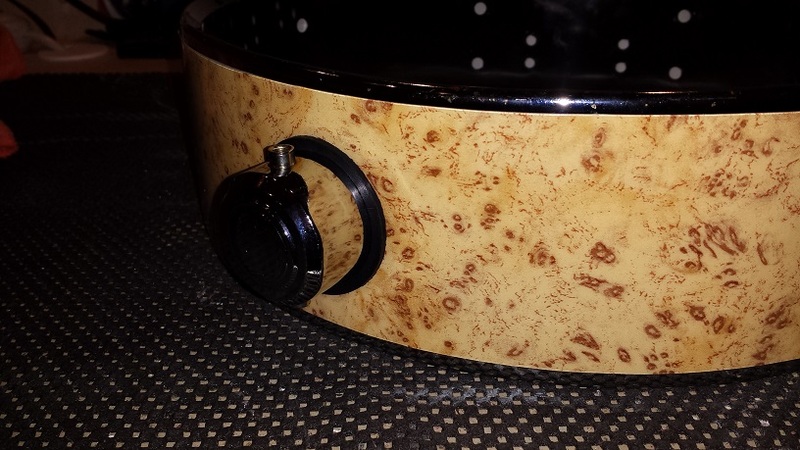 Oh yes, I could, I would and I did wrap a steel snare drum. Wanna’ know how it turned out? 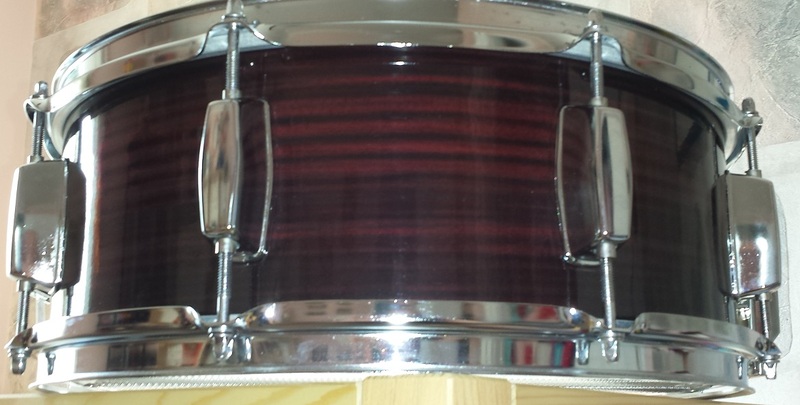 Our selected victim is a 13″ Dixon Piccolo Snare. 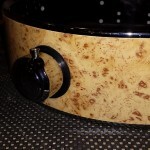 I actually really like this snare drum. 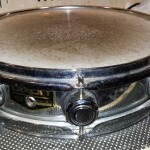 Not to the point that it’s one of my main snares, but it’s a dependable, practical and quite versatile snare to pull out when you need a piccolo snare that isn’t quite as sharp as they often can be. So, if I really like it the way it is, why on earth perform such a radical experiment on it? Well, I have two of them. Also, it’s a completely reversible process should I be unhappy with the outcome. Or as in this case, just to find out how it would turn out. 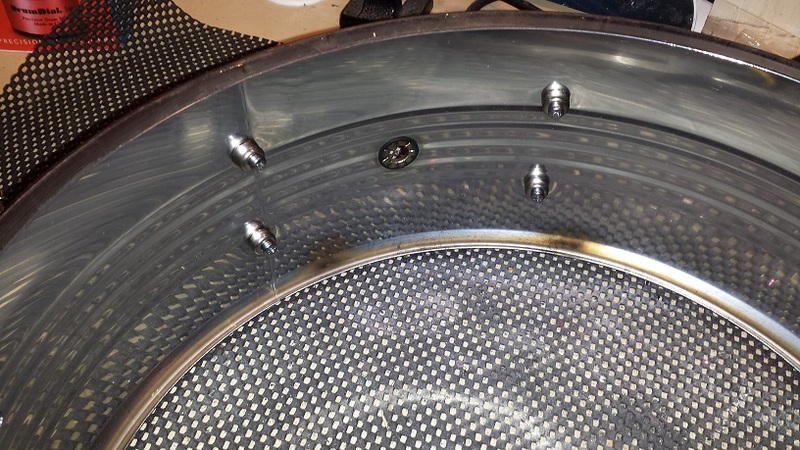 keeping it simple the process of disassembly – wrap – re-assembly loosely follows the instructions for “Method 4” of our Drum Wrap Instructions. 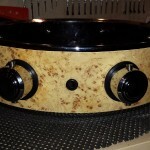 The wrap chosen for this experiment is a Wood Grain design from Walopus.com, simply entitled Birds Eye Maple. 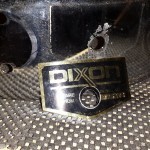 The only real noteworthy details of this particular re-wrap was that the air vents had to be mutilated to remove them and the Dixon badge was held on with heavy duty adhesive which required a fair bit of heat to remove. 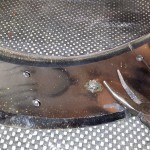 I could have just torn it off but i wasn’t sure at the time if I was going to return it to the drum or not. 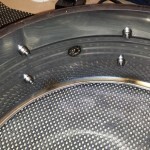 The other thing to keep in mind if you’re going to wrap a steel snare drum is that the clearance between the shell and the flesh of the head may not allow for the thickness of a wrap. 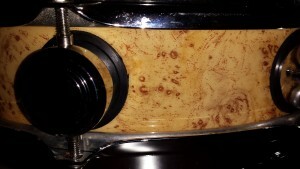 In this case it worked out, but it was close, I had to install the batter head with some care to get it over the wrap. In the future if I decide to wrap another, I’ll likely cut back the wrap a bit further to clear the head flesh. 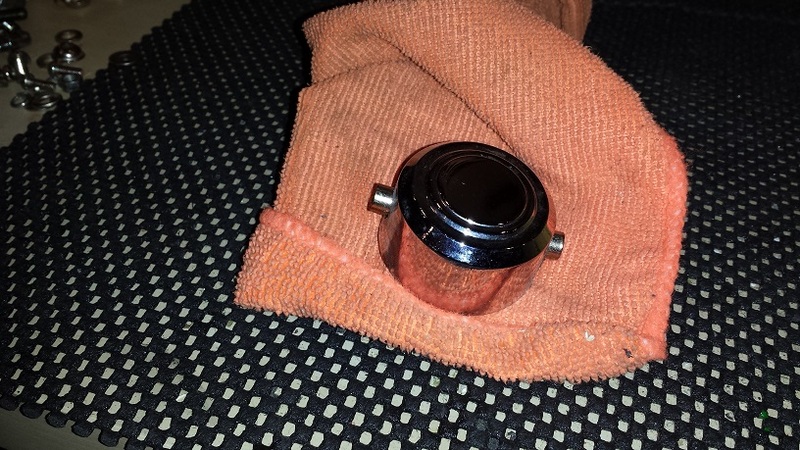 Might as well polish the chrome parts while we’re at it. 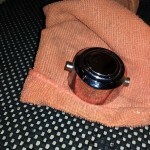 A microfibre cloth with a wee bit of automotive chrome polish makes it a quick job. Of course the most interesting question is whether the sound is affected. Well of course it is. However not enough that I can hear a difference. 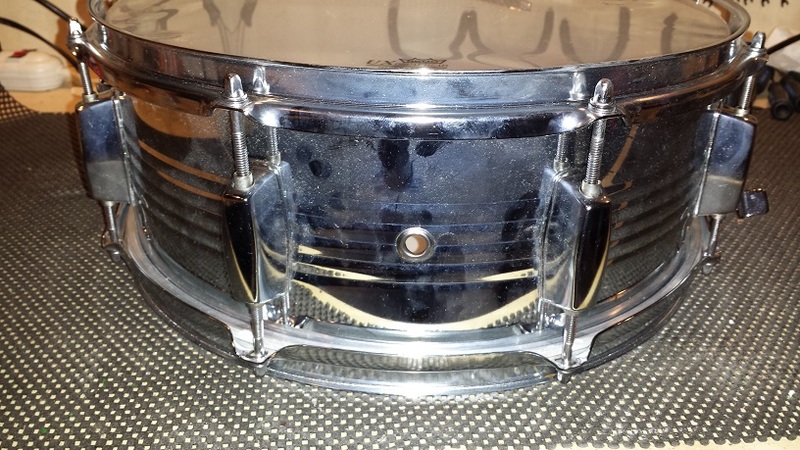 Also keep in mind that while it’s obvious that wrapping a steel snare will affect the sound, it’s not necessarily in a negative way. I suspect that if a survey was conducted 33% would say “Whatever”, another 33% would say “You killed the nice sharpness” and the remaining 33% would say “You mellowed it out nicely”. Visually it’s a vast improvement. The wrap is incredibly realistic. 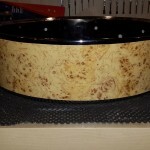 the only thing that gives away that it’s not a real birds eye maple veneer is the overlap at the seam. 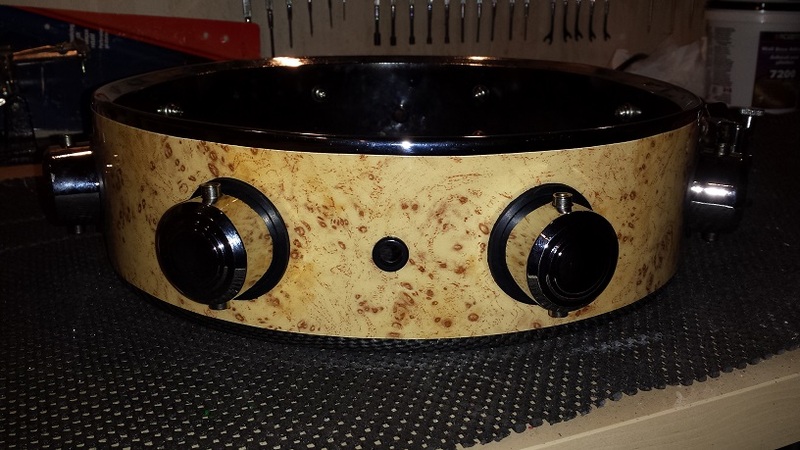 I think I want to do a whole drum kit in this wrap in the near future. 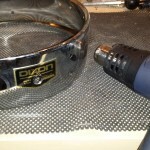 Let’s try a regular size steel snare and see if the wrap will have a more noticeable effect on the sound. 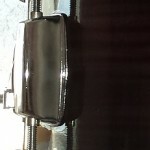 This one is a generic, entry level steel snare that I’ve seen sold under a myriad of brand names. Sometimes with subtle differences in hardware. 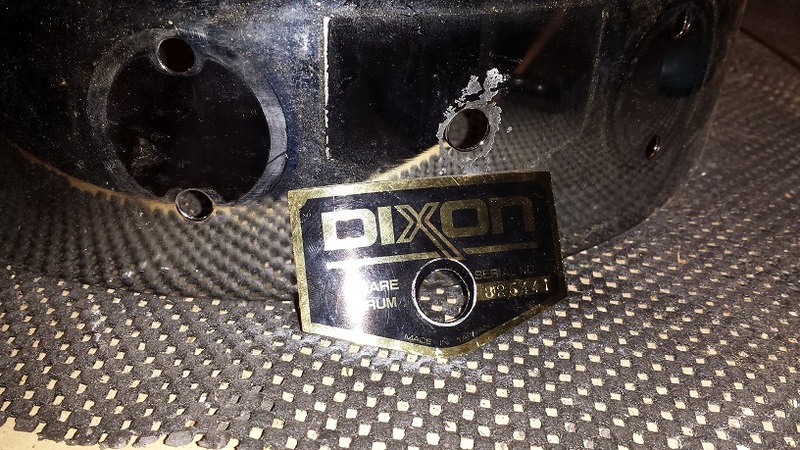 The entire process is performed in the same manner as with the Dixon Piccolo snare above. 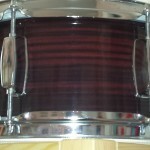 This time I’m using a slick, super glossy Rosewood wrap, also from Walopus.com. As with Victim #1, the visual results are stunning. 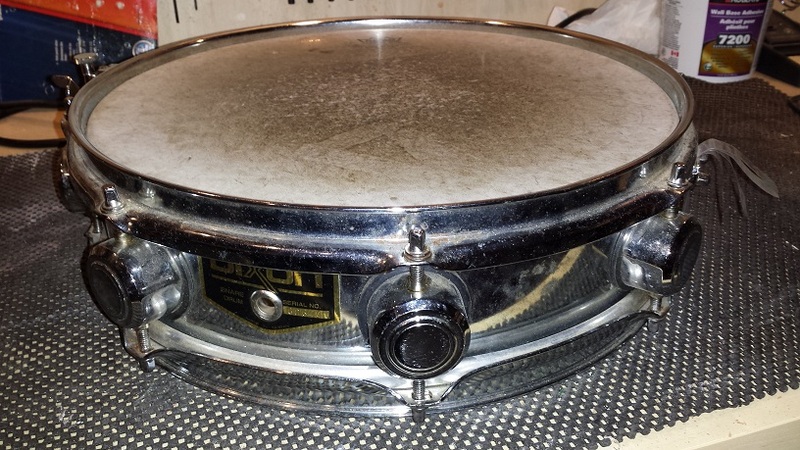 It’s impossible to tell that it’s a steel snare without flipping it upside down and peeking inside. 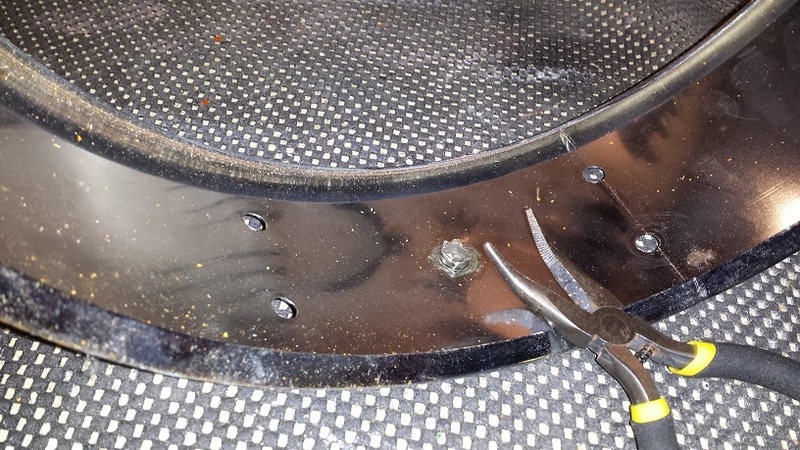 Surprisingly enough, even though there is now a lot more steel surface being muffled by wrap. I still don’t hear any difference. 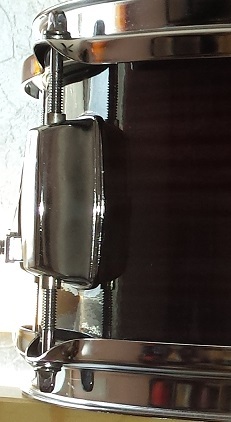 Next time, I’ll make a point to document the exact tuning and then record before and after with he same tuning. I’m sure there would be a noticeable difference. Just not enough that I can hear it when there’s a couple of hours between hearing the two options. 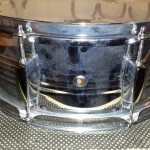 Even more interesting would be if I ever happen to have two identical steel snares like this at the same time. That way I could do a “live” comparison. Should you? Would you? 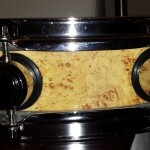 Could you Wrap a Steel Snare Drum? We decided to try it and report back the results. Read the article for the whole skinny!